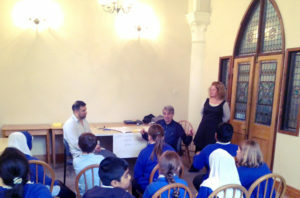 PROUD2B Schools Project Salaam Shalom’s Proud2B schools project aims to help prevent the development of prejudice and stereotyping, by widening pupils’ intercultural awareness at a vital stage in their development, as they embark on their move to secondary school. 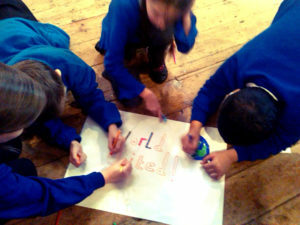 They are introduced to a range of creative activities, which also improve their self-esteem and communication. 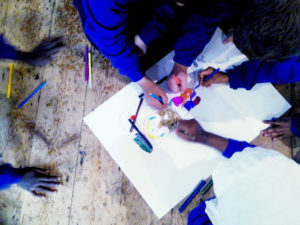 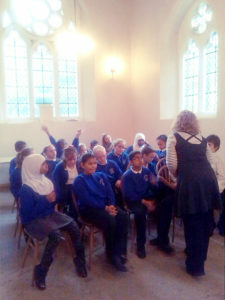 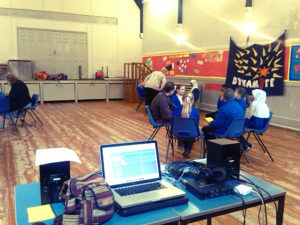 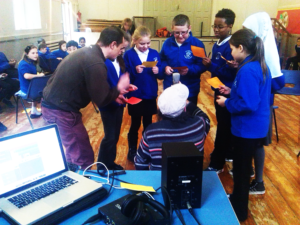 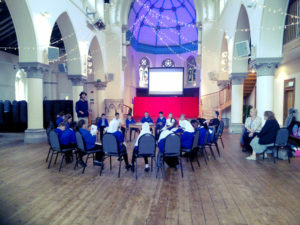 The project enables pupils to use media and the arts to explore more about identity and community. 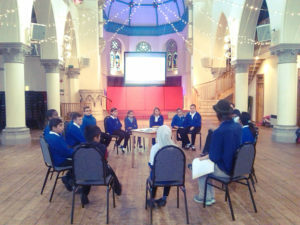 The project aims to raise inter-community awareness and help prevent the development of prejudices, discrimination and fear of ‘the other’, as pupils embark on their move to secondary schools. 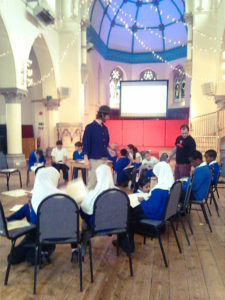 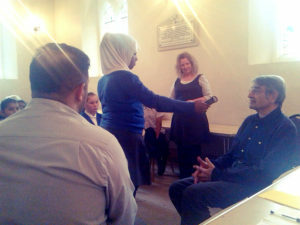 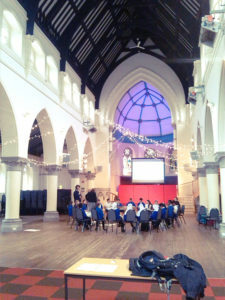 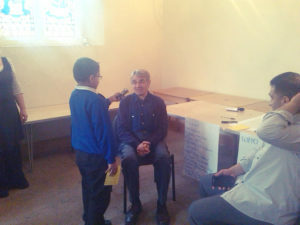 As part of the media workshop, pupils create questions they then use to interview Muslim and Jewish guests. 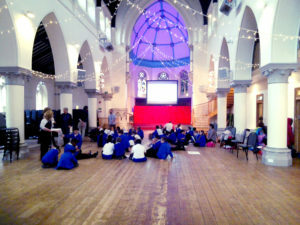 We asked pupils to rate their knowledge and confidence in different areas before and after the project. 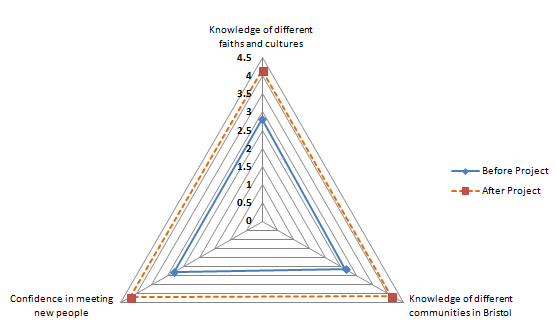 The graph below illustrates the overall average of all pupils’ ratings. 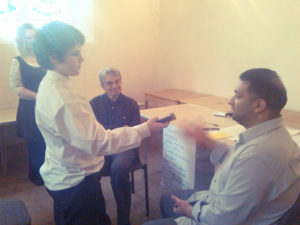 Pupils also believe they improved their speaking, listening and interviewing skills through the project. 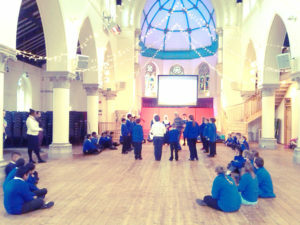 And over 85% of pupils believe that since doing the project, they would be more confident in helping others being bullied because of their identity.